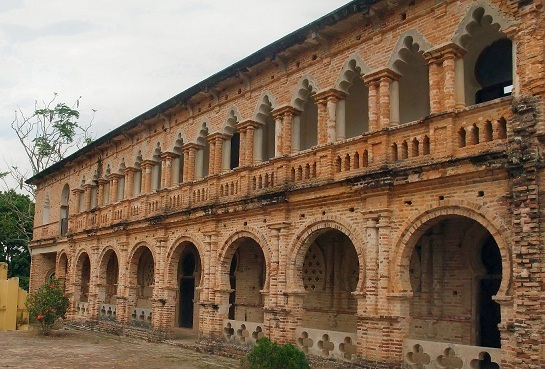 Kellie's Castle is located in Batu Gajah. It was built by a Scottish planter called William Kellie Smith as a castle of love for his wife. Smith himself was from a small town in Scotland known as Kellas. In 1890, at the age of 20, he arrived in the then undeveloped Malaysia. It was intended to be the hub of social life for the area's wealthy colonial planters and administrators. A grand mansion with a six-storey tower, wine cellar, stately columns. 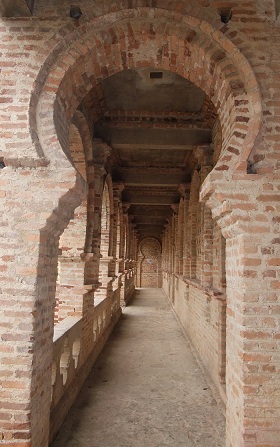 Moorish arches and walls embellished with Greco-Roman designs. There was to be a rooftop courtyard for parties and even an elevator, the first of this kind in the country. William Kellie Smith made his fortune in tin and rubber and then he returned home to marry his Scottish sweetheart, Agnes. He brought her over to Malaysia in 1903. The following year, the couple was blessed with a daughter named Helen. His first house was called "Kellas House". It was built in 1905 and he lived there with his family. This house was partially destroyed during the 2nd World War. 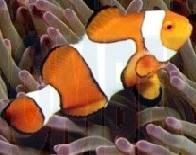 For many years after the birth of Helen, Agnes tried to conceive, but to no avail. William Smith desperately wanted a son and heir to take over his empire in the Malay Isles. After many years, Agnes finally gave birth to a son called Anthony in 1915. The birth of his child was the start of even greater success for William Smith. Kellie's first home, named: Kellas House (at the back of the Castle). To celebrate Anthony's birth, William Smith decided to expand on his mansion. Smith started planning for a huge castle which he planned to call Kellas House, after his hometown in Scotland. Because of his fascination with the Hindu religion and the Indian culture, Smith's plans was for this house to share similar architecture to those of Madras, with all its bricks and tiles imported from India. He even employed a big group of Indian labourers to build his dream house, to keep the Kellas House authentically Indian. The mansion is accessible from the main road through a bridge running across a stream. But it was not only the cost of importing material and labourers from abroad that made the house so fascinating to fascinate locals and travellers alike. 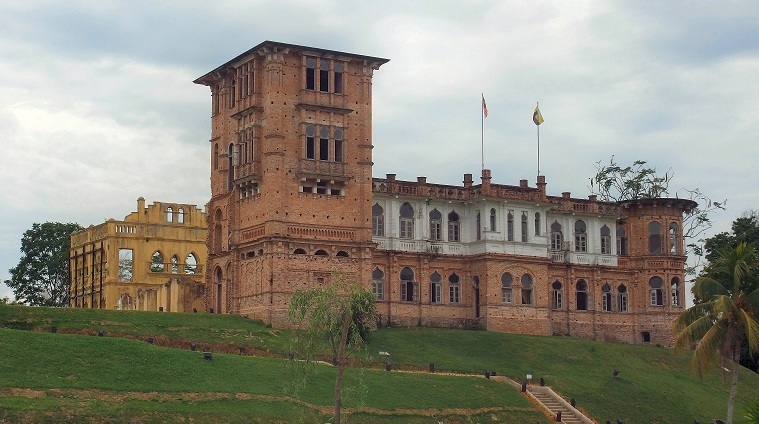 Among the many amazing things about Kellie's Castle include an elevator (unheard of in Malaysia in those days, the one built in Kellie's Castle is the first in Malaysia) which connects right up to the top floor and the existence of two tunnels that run under the river nearby. One of these tunnels connects to the Hindu temple some distance away to the main house. On the second floor, Smith planned to build an indoor tennis court -- an ambitious project even by today's standards. On the highest floor, there is a rooftop courtyard for parties. This castle was to be the hub for entertaining wealthy colonial planters who have settled in Malaysia. His house was so unique that it was even mentioned in the London Financier newspaper on 15 September 1911. 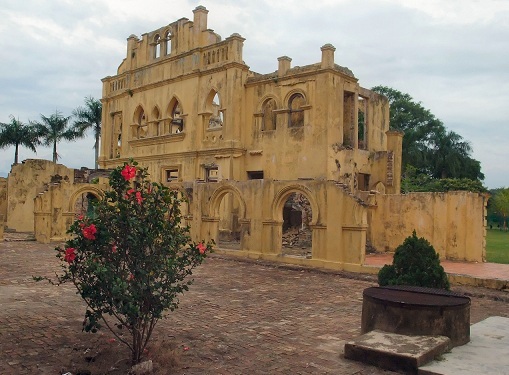 For some reason or other, Kellas Home, later known as Kellie's Castle or even Kellie's Folly to some, was never completed. However, despite more than eighty years of vandalism and neglect until the government refurbished the house in 2000, the building remained a tourist attraction for many years prior to that. 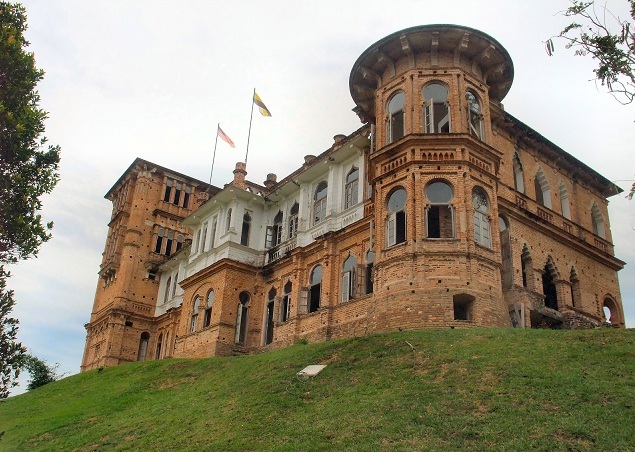 Today, visitors can still "meet" William Kellie Smith and his two children at Kellie's Castle. Sculptures of them are still standing on the exterior wall, but the one of his beloved wife fell off some years ago. For safety reasons however, the tunnels have been sealed off. Apparently, one of Kellie's car is parked somewhere in one of the tunnels! Despite the ravages of time and neglect, the entire estate oozes with romanticism of the colonial era in Malaysia. After visiting Kellie's Castle, do not forget to take a short walk to the Hindu temple constructed by Smith to appease the Gods after his workers died of the Spanish flu. The architecture of the temple is a curious mix of Moorish, Greco-Roman and Indian design. Encapsulated forever in a moment in time is the odd, misplaced figurine of Kellie in his planter's suit and topee among the sixty deities on the temple roof.